Trusted Reviews has tested a multifunction printer from Brother that is able to print, copy, scan and fax. The monochrome printer is called Brother MFC-7460DN and is able to print up to 27 pages per minute, or so Brother claims. Trusted Reviews ends up giving the MFC-7460DN an overall score of 9 out of 10 possible stars and it even gives it their “Trusted Reviews Recommended” badge. The Brother printer scores highest on features and print speeds, and a little lower on value for your money and print quality. There are not much to complain about with this model, but it would be nice if Brother could add wireless connectivity with the next printer in this series. 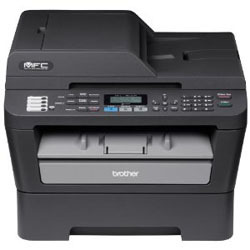 Read the full review of the Brother MFC-7460DN multifunction ethernet monochrome printer here.